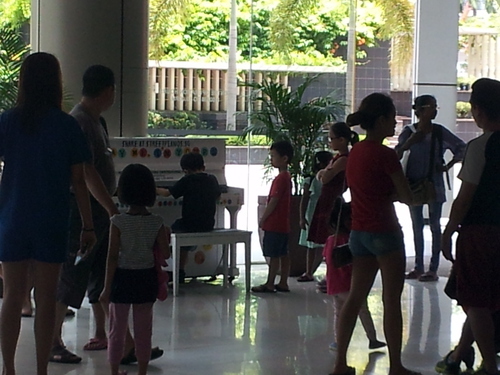 Opening hours: Daily 24hrs. 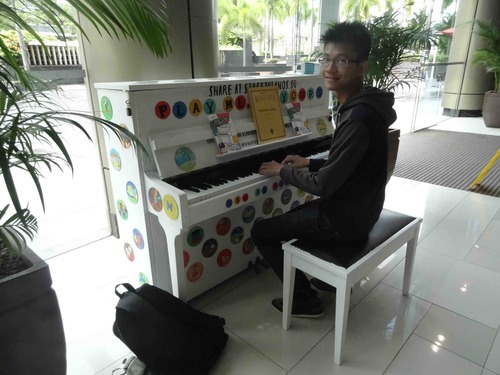 The original ‘white spotted’ piano, decorated by HCA Hospice with Ffurious, was replaced with the ‘sunny’ piano, decorated by Singapore After-Care Association (SACA) with Kate Pocklington. From the launch event on 13 March. 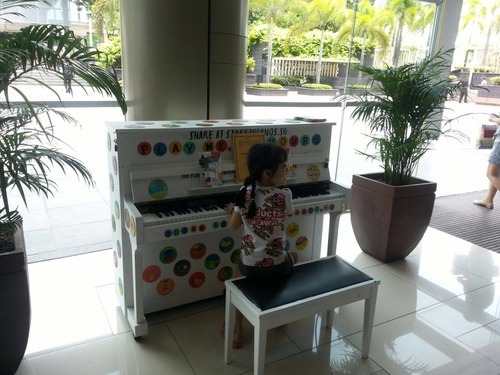 Played the ET Theme (amongst many other duets) with my church friend Joycelyn Chng on a rainy Good Friday. Audio is wonky if you use headphones. 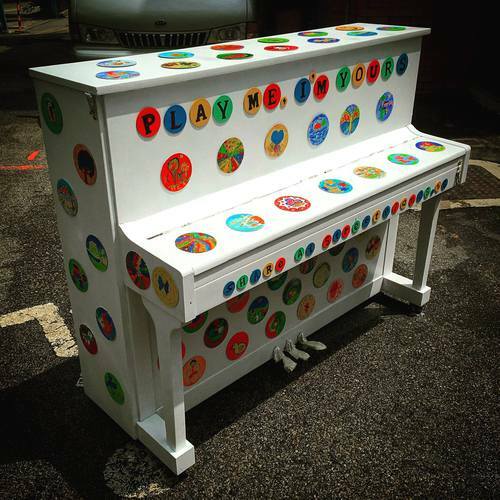 This piano, decorated by Singapore After-Care Association (SACA) with Kate Pocklington has replaced the original white spotty piano that was in this location. 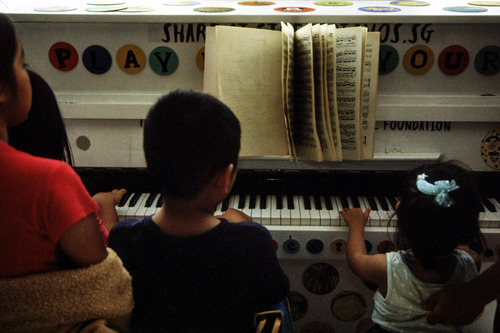 We've named our piano Momentous, made of many happy moments of the sweet aunties and uncles at HCA Hospice Care. 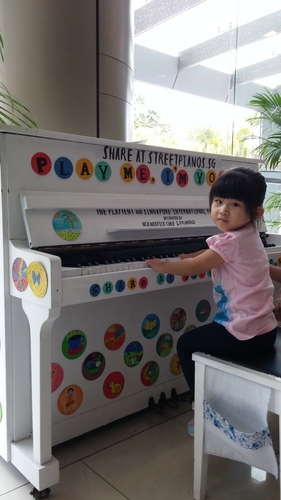 Now all ready for the public to play during the launch at Ocbc Arena, Sports Hub, National Stadium, Singapore this Sunday 13 Mar from 11am to 6pm. 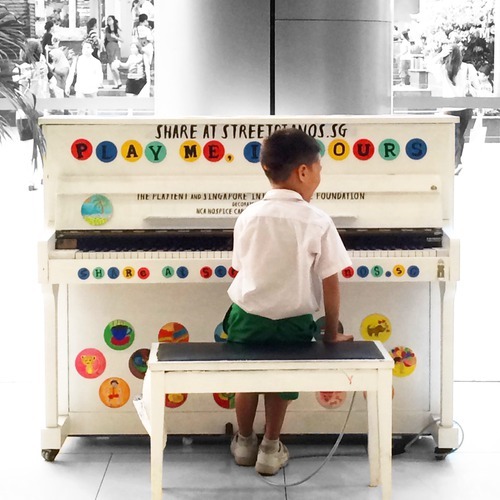 This is one of 25 donated pianos that are decorated by 25 Singaporean artists working with 25 different social welfare organisations. 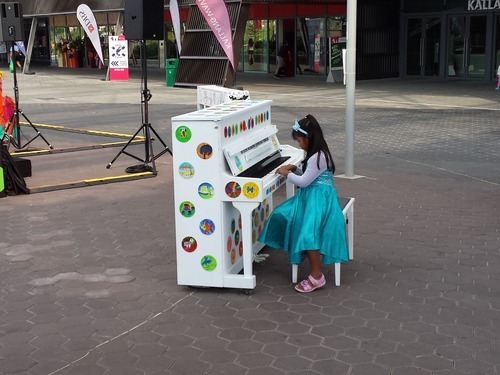 The pianos will be placed in parks, housing estates and public spaces for all to play and enjoy for 25 days.